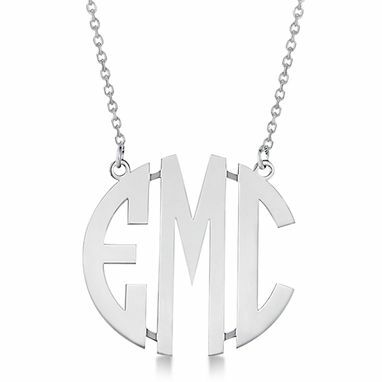 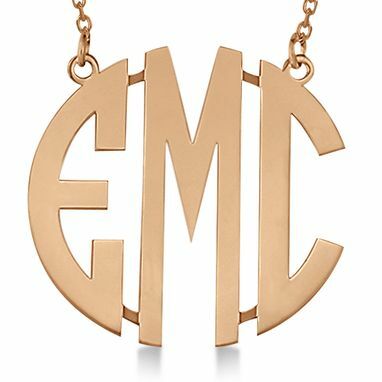 Add a special touch to this superb bold-face custom initial monogram pendant necklace in 14k white gold. 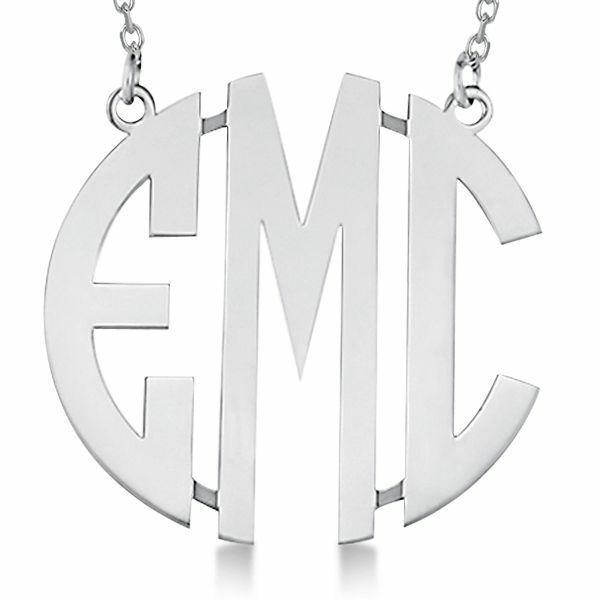 Your first, middle, and last name's initials will be chiseled in an attractive block letter font with a polished finish. Approximate gold weight of 3.69 grams will vary depending on size and lettering options.